Vintage RV: 1972 Road Ranger Travel Trailer by Kit Manufacturing Co. The company's other RV product lines included Sportsmaster, Road Ranger, Companion, and Patio Hauler. 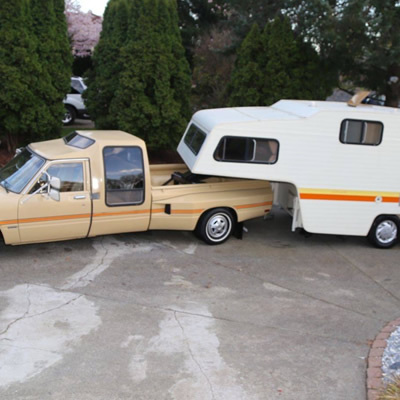 Not too long ago, we came across a Road Ranger travel trailer – a brand I wasn’t familiar with. With some research we discovered it was one of Kit Manufacturing Company’s stalwart lines. Evidently, the Road Ranger travel trailers were one of the Kit Manufacturing Company’s most popular lines. At one point the company had over 30 dealers in Canada and 230+ across the United States. This particular model had a for sale sign on it that said, "15' Road Ranger, very lightweight and tows great. Radiant furnace, propane/electric fridge, stove/oven, lights all work, sleep 4 to 5." Another source called Reference for Business stated, “Recreational vehicles accounted for 73 per cent of Kit's sales in 1995. They measured from 16 to 36 feet in length and provided sleeping accommodations for two to 10 people, with over 50 different floor plans offered. Components and accessories included name-brand appliances, radial tires, rubber roofs, and fiberglass insulation throughout. Interior features included an entertainment center with AM/FM cassette stereo, skylights in the bath and living areas, queen-size bed, microwave oven, and ducted air conditioning and heating system. Several models had slide-out features for interior expansion of the living room and master bedroom. Awnings were available and could be converted into an enclosed patio. Kit opened a new RV manufacturing facility in Caldwell in 1995, about three miles from the plant producing manufactured homes and the Road Ranger and Companion RVs. This new plant, aimed at meeting demand in the Northwest and Canada — about 2,800 Sportsmasters a year were being produced in McPherson, Kansas, at this time. Kit's RV production reached 5,516 in 1995. The company's RV product lines included Sportsmaster, Road Ranger, Companion, and Patio Hauler. Retail prices ranged between $9,500 and $45,000. 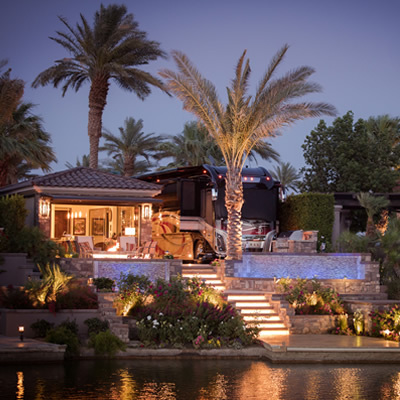 Some 239 independent dealers were distributing the company's RVs throughout the United States, 32 in Canada, and five in Japan. 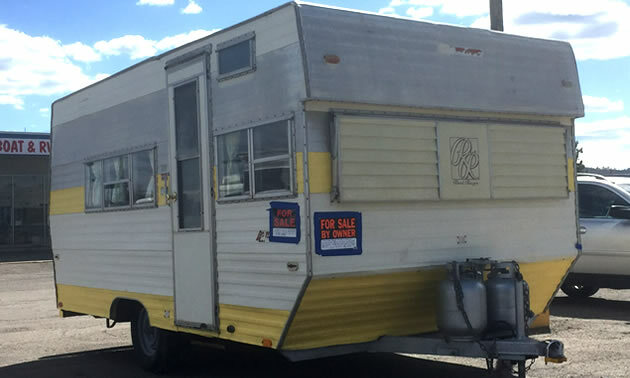 Do you have a vintage RV story or photos? Share them with us [email protected]. One unit that recently caught our eye was the 1976 Triple E 2300 Class A motorhome of Jerry Andrews of Cranbrook.